Considering how much we use our air conditioning systems in this part of the country, it really behooves homeowners to get their ACs off to a great start. Today, we’re going to be talking about how you can make your air conditioning installation a complete success. After all, even the best air conditioners are going to fail to impress if they are not handled properly right from the start. We know that it can be difficult to navigate the terrain when it comes to a new air conditioner installation. For most homeowners, investing in a new air conditioner is a pretty major investment. Even those homeowners that are very comfortable financially don’t want to waste their money on a new air conditioner in Pasco County, FL, only to be unimpressed by its performance quality. So keep these tips in mind, and let us know when you are ready for an AC installation. 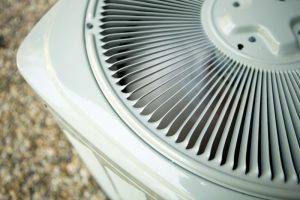 There are a lot of different types of air conditioning systems out there, and there are a lot of different features that you may choose to skip over or incorporate into your new home cooling system. It can be easy to get carried away building the air conditioner of your dreams. Just remember that everything comes at a cost. You certainly should not simply invest in the cheapest air conditioner that you can find. However, you also don’t want to overspend and strain your budget. Working with trained professionals and doing a bit of research on your own will help to ensure that you are putting the money that you have to spend toward those features that will benefit you the most. Like we said above, there are a lot of factors to consider when it comes to your air conditioning system. One of these factors is energy efficiency, and it is worth stressing. You’re hopefully going to be using your air conditioner for many years to come. The higher the SEER, which rates efficiency, the more expensive the system is likely to be. You definitely want to be directing some of your budget directly toward energy efficiency, though. That is because it is an investment that will continue to net returns over the years. Don’t opt for lower efficiency just to lower the price, because you’ll be paying for that decision for a long time to come. Our team can help to guide you toward the best air conditioner for your needs. However, we can also make sure that that system is properly sized for your home, that it is designed with your living space in mind, and that it is installed properly every step of the way. If this doesn’t happen, then even a great AC system is going to fail to operate at satisfactory levels. You deserve the best from your air conditioner, and scheduling your AC services, including your installation, with trained professionals is the only way to get it. Give us a call today if you have any questions about your home cooling system options. You can count on Bayonet Plumbing, Heating & Air Conditioning.